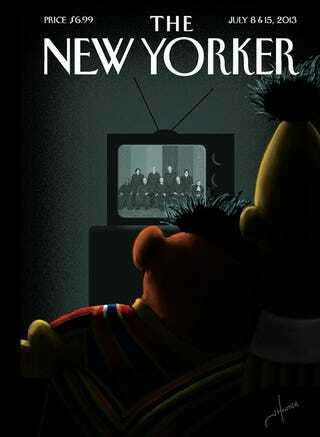 How Does the New Yorker Commemorate DOMA Decision? 2) Please don't imply a romantic relationship between two puppets who are supposed to be children. 3) Way to minimize the effect this historic and vitally important decision has on the lives of men, women, couples, and families by making it so silly.